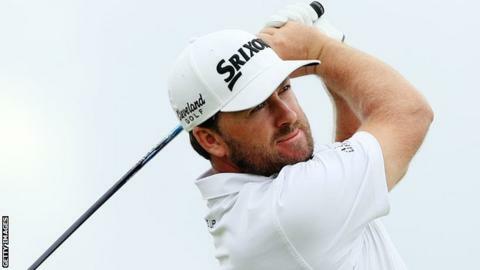 Graeme McDowell is three off the pace at the Corales Puntacana Resort & Club Championship PGA Tour event in the Dominican Republic after firing an eight-under-par 64 on Friday. McDowell's round moved him to seven under as South Korean's Sung-Jae Im took a one-shot lead. Ireland's Paul Dunne, co-leader on six under after day one, is one behind Im. US duo Jonathan Byrd and George McNeill and Australia's Aaron Baddeley are also one shot off the lead. Greystones man Dunne carded a 69 on Friday as the Korean fired a second successive 67. McDowell didn't drop a shot in his eight-birdie round which included four successive gains from the sixth as he moved into a share of seventh place at the halfway stage. The Portrush man's card was the best round of the week to date in the event. Former world number four McDowell won the US Open in 2010 but has struggled in recent seasons and his current world ranking is 257th. Ireland's Seamus Power is six off the pace after adding a 68 on Friday to his opening 72.